This week is proving to be pretty stressful, and in times of panic I turn to pointless DIYs and holiday themes. (Or cocktails or cakes, but often crafts.) It’s how I got my first few Halloween decorations, actually; I was painfully stressed about my first college midterms so I used all my spending money on spooky decorations and pumpkin cookies. Logic. Pretty normal, right? 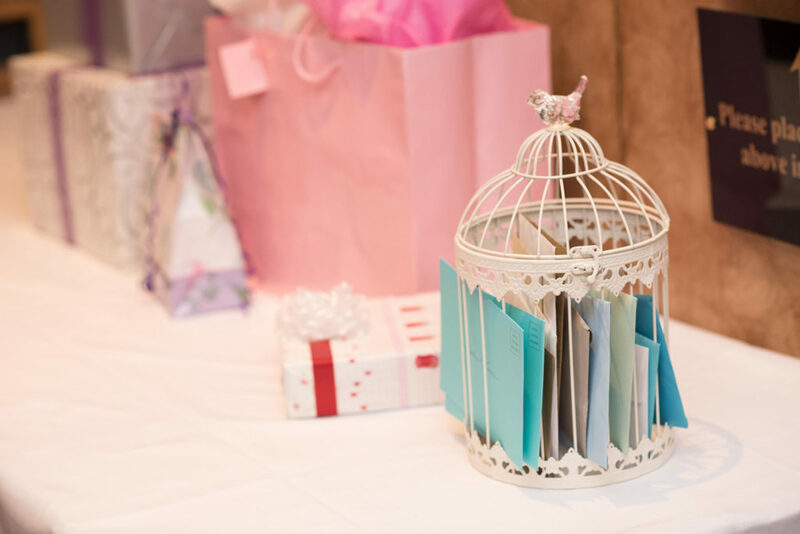 I found it on super sale at Michael’s before our wedding and listed it on a wedding resale site after but never found a buyer. It has been sitting in our basement since. Lance spotted it down there when he grabbed my boxes of Halloween decorations for me. I told him to leave it since it was technically a wedding item and made a joke about how they must not be the trendy card holder anymore. 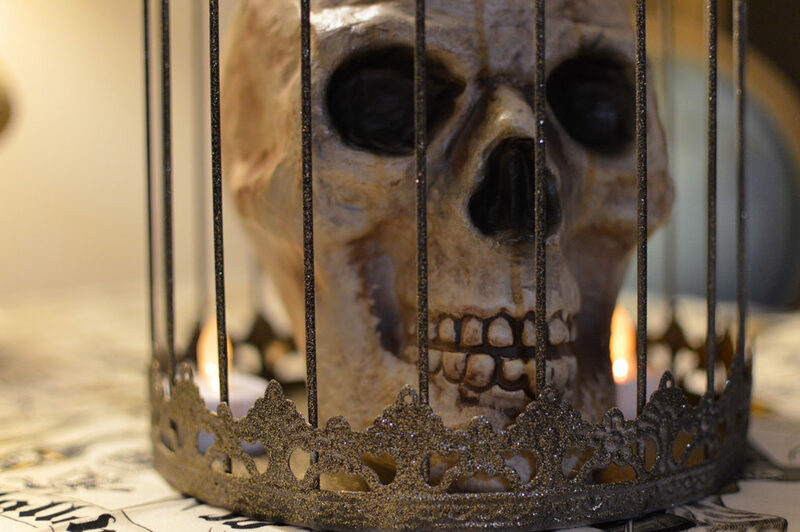 “Why don’t you just make it into Halloween decor then?” he asked. Brilliant! I wasn’t in the mood to leave the house today, so I decided I’d add that spooky element with whatever supplies I had on hand. Thankfully I have a hard time getting rid of things so that turned out to be plenty. 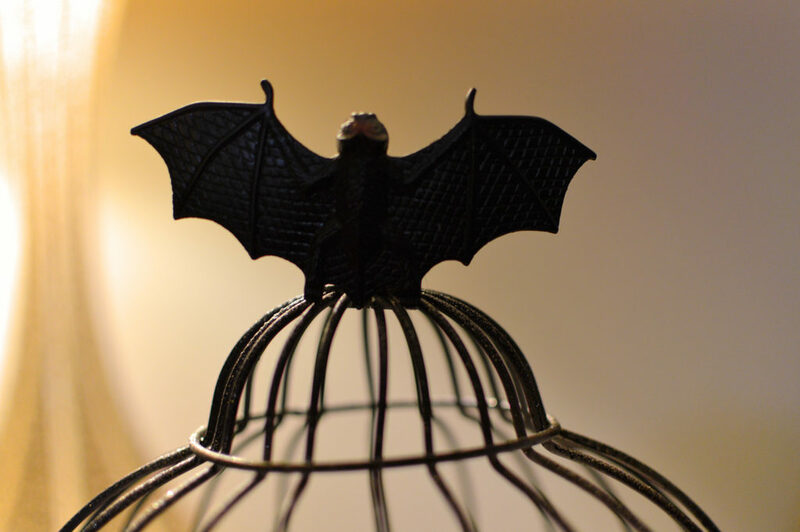 Unscrew the finial from the top of your birdcage. 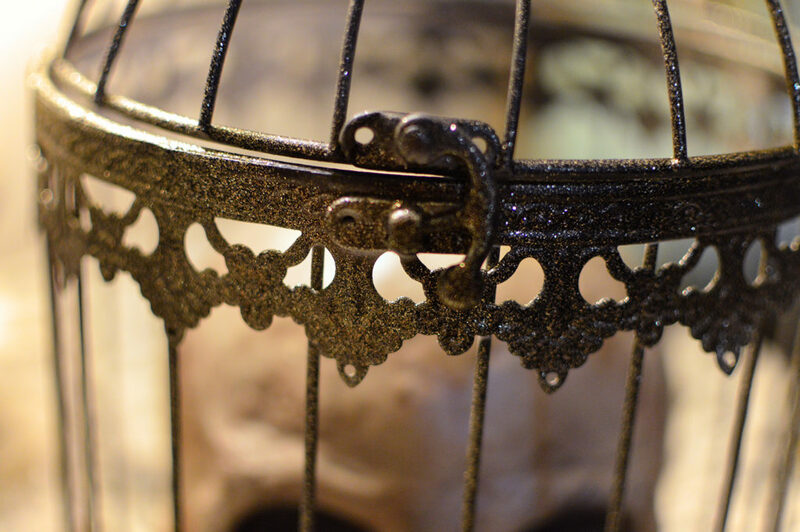 Spray paint the birdcage black and let dry. 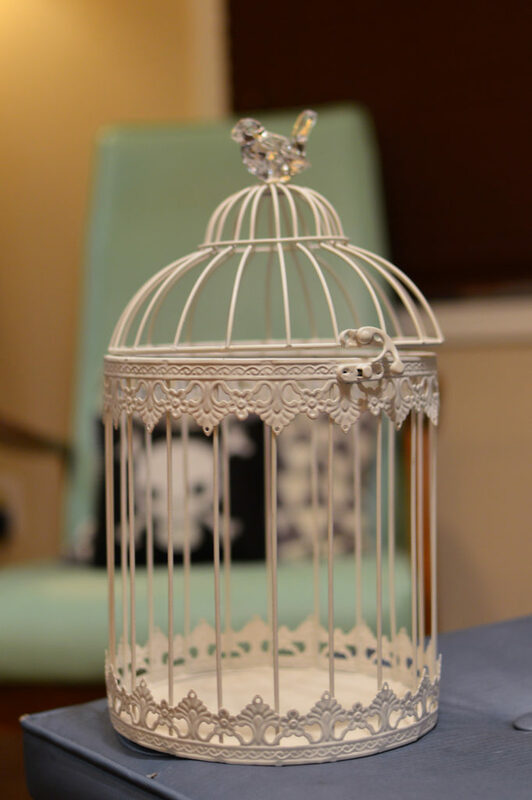 Lightly spray paint the birdcage with gold glitter and let dry. Hot glue your bat onto a bead and place over finial screw. 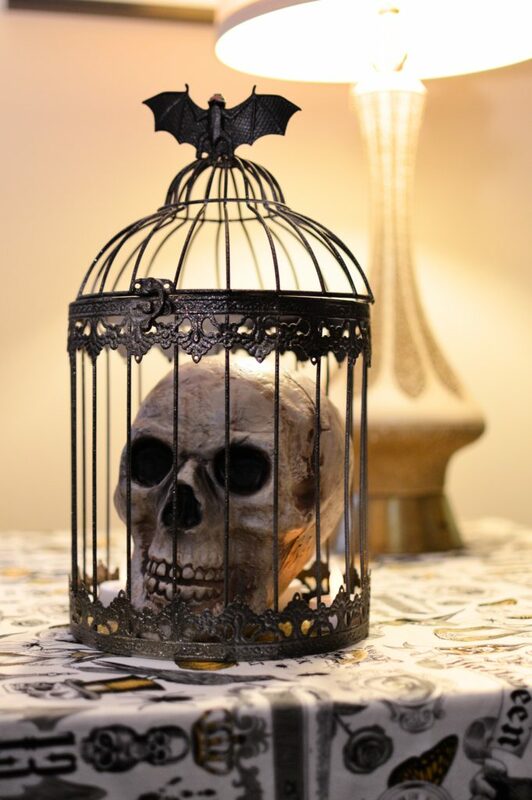 Fill with spooky Halloween decor. Anyone else way too excited for Halloween?